The Mobile In from Line 6 has three things going for it. First, it works with Line 6’s POD effects and guitar amp modeling, which is already popular with guitarists. 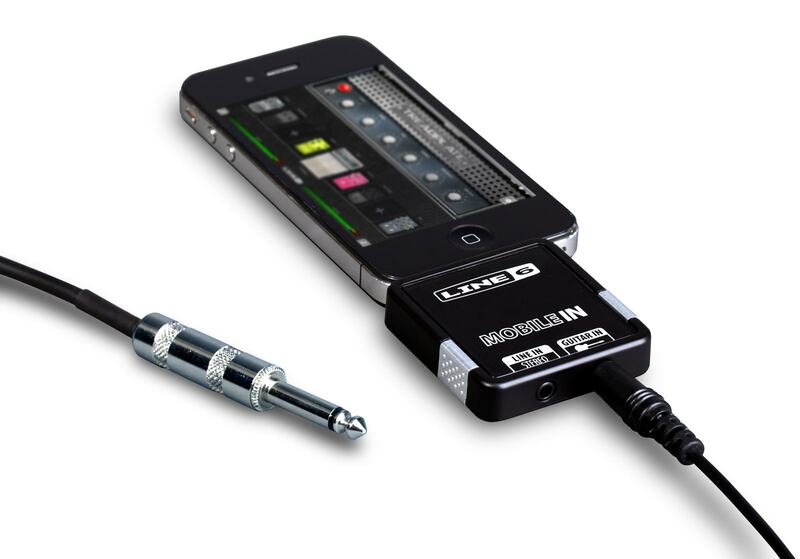 Second, the app that it works with the audio interface is free. No paid app, no add-on fee for presets – you buy the hardware and get all of the software for free. Third, and most importantly, the Mobile In connects to the proprietary Apple 30-pin connector, so you get digital audio I/O rather than relying on the jack. That means the quality of the Mobile In is, well, the quality of the Mobile In. Without a test unit, it’s impossible to say for sure, but Line 6 at least claims a 110 dB dynamic range on the guitar input and a 98 dB range on the stereo line input. There’s up to 24-bit/48 kHz support, but I’m happy just to get a portable device with line and guitar ins. They’ve even tossed in a 6-foot guitar cable. Total price: US$79. The Mobile POD app, while free, is no slouch, either: you get 10,000 presets, a built-in tuner, 64 amps and effects and more, even with a neat iTunes play-along mode. And it’s free for everyone, whether or not you have the hardware. And if you want to use a different mobile app, of course, you can do that, too, if you do use the hardware. My other wish? It’d be nice to see the Android platform compete with, well, any of this. Theoretically, there may be a way to do digital audio I/O on that platform, too; sounds like a research question. We’ll see if, Android or otherwise, another tablet/mobile platform starts to evolve these sort of features. Any mobile guitarists who want to test this out for CDM, and share your music in the process? Let us know.